Inside your head there is an amazing labor saving device; more effective than the latest high-tech computer. Your brain frees you from the everyday tasks of moving about in the world around you, allowing you to concentrate on the things that are important to you; making friends and influencing people. However, the 'you' that is released into this social world is also a construction of your brain. It is your brain that enables you to share your mental life with the people around you. Making Up the Mind is the first accessible account of experimental studies showing how the brain creates our mental world. 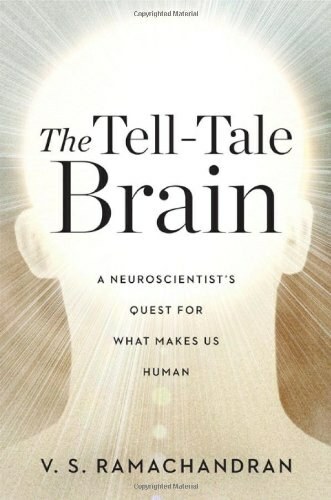 Using evidence from brain imaging, psychological experiments, and patient studies, Chris Frith, one of the world's leading neuroscientists, explores the relationship between the mind and the brain. Professor Chris Frith FRS, FBA (born March 16, 1942, United Kingdom - ) is an Emeritus Professor at the Wellcome Trust Centre for Neuroimaging at University College London and a Niels Bohr Visiting Professor at the University of Aarhus, Denmark. His primary interest is in the applications of functional brain imaging to the study of higher cognitive functions in humans, although he is also well known for his earlier seminal work characterising the cognitive basis of schizophrenia. With over 400 publications, Frith is one of the ISI Highly Cited authors in Neuroscience. His H-index is 117. He is author of a number of important neuroscience books, including the classic The Cognitive Neuropsychology of Schizophrenia (1992) and the popular science book Making up the Mind (2007) which achieved the long list for the Royal Society Science Book Award in 2008. He is a Fellow of the Royal Society, the British Academy and of the American Association for the Advancement of Science. In 2009 ha was awarded the Fyssen Foundation Prize for his work on neuropsychology  and he and Uta Frith were awarded the European Latsis Prize for their work linking the human mind and the human brain] . Chris is the brother of Fred Frith, the guitarist, and Simon Frith, the musicologist. He is also the husband of Uta Frith, a leading developmental psychologist. Since 2005, Chris has been on the editorial board of Biology Letters, dealing with papers in the category, Neurobiology. Most of the time you are not aware of you are doing. Yue and Cole asked one group of volunteers to train the muscle that controls the little finger (the hypothenar muscle) for four weeks, five sessions per week. Another group only imagined making these contractions, also for five sessions per week. A third group, the control group, did not do any training at all. After five weeks, the average force that could be exerted by the little finger had increased by 30% in the real training group and by 22% in the imaginary training group. The change in the control group was a trivial 2.3%. This study shows that practicing movements in the imagination can increase strength almost as much as real training can. that changes our view of the world and hence our behavior. To imitate someone, we watch their movements closely, but we don’t copy these movements. We use the movements to discover something in the mind of the person we are watching: the goal of their movement. Then we imitate them by making a movement that achieves the same goal. I think that I have direct contact with the physical world, but this is an illusion created by my brain. My brain creates models of the physical world by combining signals from my senses and prior expectations, and it is these models that I am aware of. I acquire my knowledge of the mental world – the minds of others – in the same way. However it may seem to me, my contact with the mental world is neither more nor less direct than my contact with the physical world. Using cues acquired from my senses and prior knowledge acquired from my experience, my brain creates models of the minds of others. What you are aware of is what you intend to do. As long as your intentions are fulfilled, you are not aware of what movements you are actually making. target. All they were aware of was the intended movement. We can live in this world of intentions, this imaginary world, because our brain can predict the consequences of our movements. Besides,the world that we live in is an imaginary one,or,futhermore an intended one if you want. I have never seen this town before and yet I walked through it without difficulty. I like to visit new places and walk about the streets on my own.I learn new things about the world, but I don’t need a teacher at my side at every moment. Most learning in childhood happens without a teacher. No one can teach you how to ride a bicycle. You have to learn by doing it yourself. We learn the fundamentals of language before any teaching occurs. Nine-month-old American infants can learn to distinguish between different sounds in Chinese simply by being in the same room as someone speaking Chinese. So how do we learn without a teacher? Now my question is:我们成年人能否像小孩子那样无师自通？我们如何能够像小孩子那样无需一个老师在旁而能够自己学习到东西？Learning without teaching? brain and mind, making expectations and models. 黑体 加重 In this book I shall show that this distinction between the mental and the physical is false. It is an illusion created by the brain. Everything we know, whether it is about the physical or the mental world, comes to us through our brain. But our brain’s connection with the physical world of objects is no more direct than our brain’s connection with the mental world of ideas. In this book I shall show that this distinction between the mental and the physical is false. It is an illusion created by the brain. Everything we know, whether it is about the physical or the mental world, comes to us through our brain. But our brain’s connection with the physical world of objects is no more direct than our brain’s connection with the mental world of ideas. Damage brain may provide false experience, so do intact one. In this chapter I have shown that a damaged brain doesn’t just prevent us from finding out about the world. It can also create in our minds an experience of the world that is entirely false. But there is no reason to feel smug. I shall show in the next chapter that, even if your brain is intact and functioning perfectly normally, what it tells you about the world may still be false. A reliable information from the Cambridge psychology class of '68 tells me that they were able to cause an eminent neuropsychologist to lecture from the far left side of the theatre by yawning and dropping their pencils whenever he moved to the right.